One of the treasures we brought home from our weekend in Paonia was a small jar of Lavender Honey, as well as some dried lavender for cooking and baking. There were so many lovely local ingredients I would have loved to buy, but with our wedding now less than four weeks away, our budget didn't allow for anything more than the honey, fruit for jam, and a few bottles of good olive oil and balsamic vinegar. Oh, and wine, of course. What would a trip to Colorado wine country be without bringing back a case of wine for the wedding? I used most of this honey for one of my batches of jam, Peach Jalapeno with Lavender Honey, and the rest for a beautiful piece of salmon for dinner with a fresh spinach and berry salad. I love when fresh food looks this pretty. Preheat the oven to 425. Line a baking sheet with foil and place the salmon on the foil, skin side down. 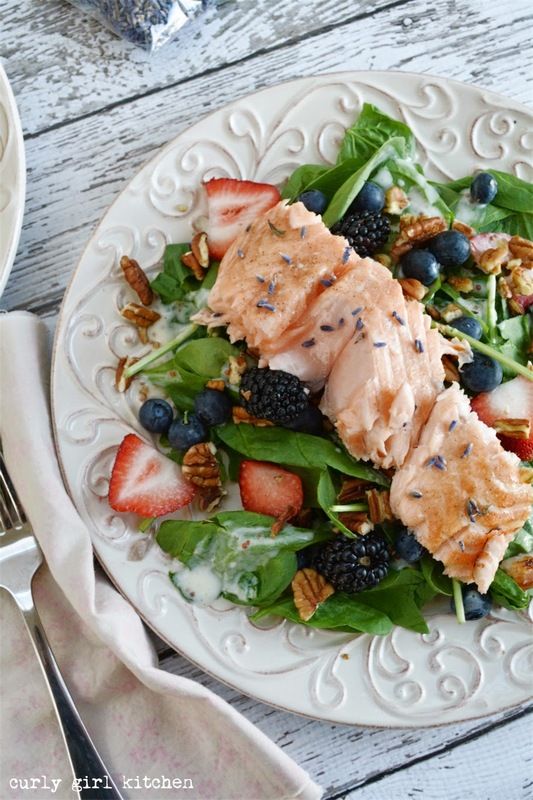 Drizzle the salmon with the honey and season with salt and pepper. Roast for about 8-12 minutes, until cooked to your liking. 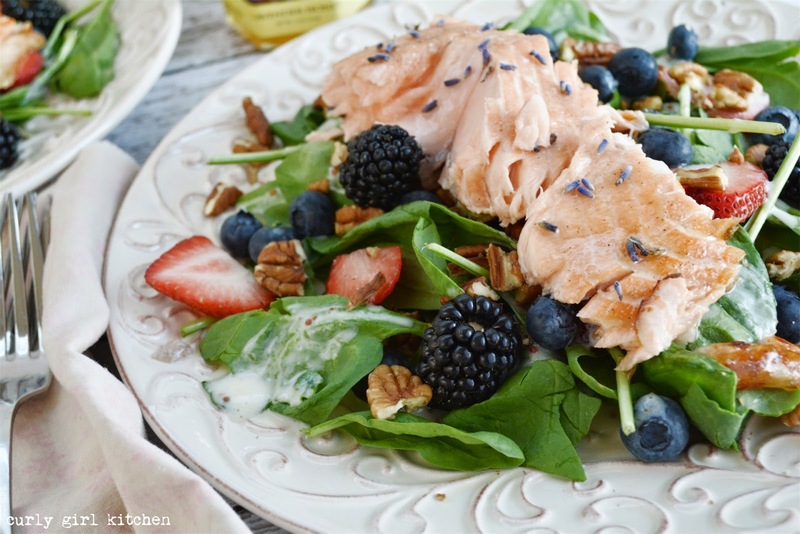 Serve with the salad and dressing and garnish the salmon with a little dried lavender.